As the season 18 cast for ABC’s Dancing with the Stars was announced this past week, former Red Wings / Kings / Stars / Rangers player Sean Avery made DWTS history as the first NHL’er to appear on the competition. DWTS has at least one athlete each year, and season 18 is chock full of them, including newly minted Olympic Gold Medal ice dancers Charlie White and Meryl Davis, swimmer Diana Nyad, para-olympian Amy Purdy. That’s five of twelve competitors who all know how to train and win. Winners of the show often come from an athletic background too: Emmitt Smith (NFL player, season 3), Apolo Ohno (olympic speed skater, season 4), Helio Castroneves (Indy 500 driver, season 5), Kristi Yamaguchi (olympic figure skater, season 6), Shawn Johnson (olympic gymnast, season 8), Hines Ward (NFL player, season 12), and Donald Driver (NFL player, season 14). How will Avery fair? He’s got a great pro teacher, at least to start the show with, having been paired with Karina Smirnoff. She’s never won the coveted mirror ball trophy, but she’s finished top three in the past two seasons. However, in these behind-the-scenes shots that ABC released (above), Avery looks none-to-happy to be there. If he’s not committed to going for it, it’s going to be hard to win the audience’s favor and even harder to actually learn the dances. The competition isn’t going to cut him and slack either. You’ve got people like Davis, White, Big Time Rush member James Maslow, and singer Cody Simpson who know how to move and keep rhythm (though for the pop singers, that doesn’t always translate to ballroom success). So, over the coming weeks, I’ll be your guide to DWTS as Avery dones ballroom sparkles. You can expect I’ll keep up with the other athlete competitors as well as my personal DWTS crushes — pro Derek Hough, the winner of more championships than anyone else (he coached Glee’s Amber Riley to a win in the fall and is paired with Amy Purdy this season) and newly promoted pro Henry Byalikov, who has killer abs and is partnered with Diana Nyad. If the show runs as usual, there’ll be 10 weeks of competition. Lots of new stuff happens this season with a new co-host, Erin Andrews (now with Fox Sports and 3rd place winner from season 10), as well as new things happening with the music since the house band was fired between seasons. Plus, it’s been announced that at some point in the season the celebrity/pro combinations will change and the audience will vote on that. So, look for a review of the previous night each Tuesday for as long as Avery’s in the competition. 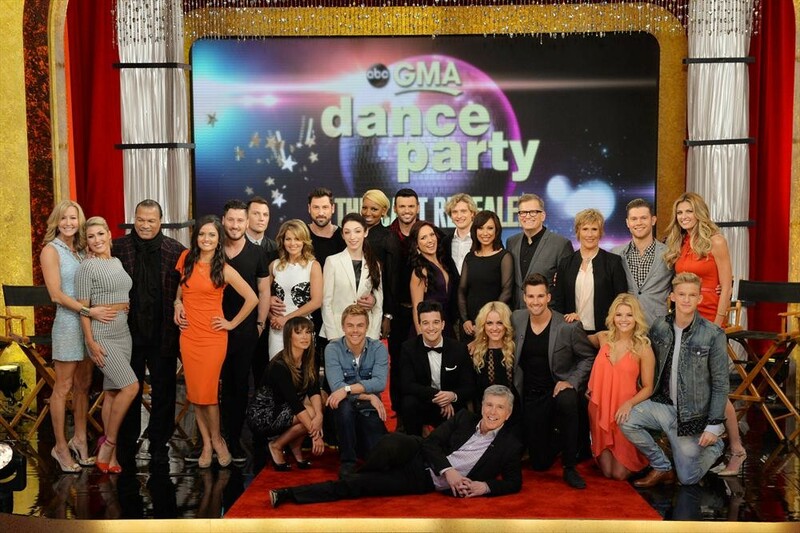 The dance party starts next Monday, March 17, on ABC. Jeff is excited to bring his love of dance competition shows to PuckBuddys after blogging about both DWTS and So You Think You Can Dance at jeffandwill.com. Jeff’s regular PuckBuddys beat includes the Red Wings and reviewing fiction that features gay hockey players. In addition, he’s written a young adult novel, Hat Trick, which details the coming out of two high school hockey players. He’s currently working on two sequels to that book. You can follow him on Twitter at @hockeyguynyc. And it results in a higher harvest of the foods involved. A twelve inch depth also should never need cleaning if a good healthy eco-system is established, it needs to be able to take proper itself. posts. After all I will be subscribing for your rss feed and I hope you write once more soon! Pick many best dubstep artists today in addition to being much as they never reveal it, a lot of them are using Dubturbo. Dubstep is due to Drum and Bass, so that the dubstep beats are incredibly important. to techno, rave parties or any pop music, for instance.